Lately you have been focusing on purchasing and personal profit; it enables you to take your chance in the financial field if the economic situation is good. You will be happy regardless and your trust in life will be strong. Your friend will feel it and will support you. At work you will surpass yourself and show what you can do. Venus is at your side; you can push yourself forward, take care of your physical appearance and go on dates: it will be a total success. 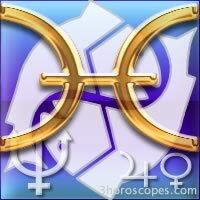 Mercury gives you persuasion, you will work well especially as far as trade, communication and radio are concerned. 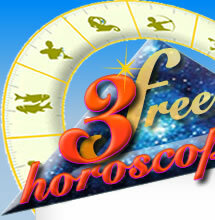 Uranus is in harmony with your sign, and you will meet original and independent people. It will allow you to develop something new in your life. Pisces : do you know your zodiac sign ? Do you know your planet Neptune ?